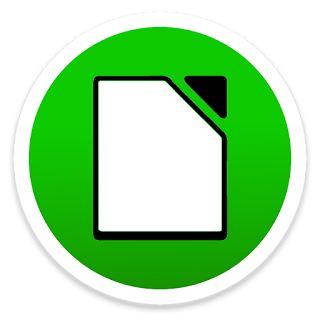 LibreOffice is a comprehensive, professional-quality productivity suite for Windows, Macintosh and Linux. That gives you six feature-rich applications for all your document production and data processing needs. Writer, Calc, Impress, Draw, Math and Base. Support and documentation is free from the large, dedicated community of users, contributors and developers. The while-you-type auto-completion, auto-formatting and automatic spelling checking make difficult tasks easy. Writer is powerful enough to tackle desktop publishing tasks such as creating multi-column newsletters and brochures. The only limit is your imagination. This Office Suite also comes configured with a PDF file creator. It means you can distribute documents that you’re sure can be opened and read by users of almost any devices or operating system. Calc tames your numbers and helps with difficult decisions when you’re weighing the alternatives. Analyze your data with Calc and then use it to present your final output. Charts and analysis tools help bring transparency to your conclusions. A fully-integrated help system makes easier work of entering complex formulas. Add data from external databases such as SQL or Oracle. Then sort and filter them to produce statistical analyses. Use the graphing functions to display large number of 2D and 3D graphics from 13 categories. Including line, area, bar, pie, X-Y, and net. With the dozens of variations available. Impress is the fastest and easiest way to create effective multimedia presentations. Stunning animation and sensational special effects help you convince your audience. Also create presentations that look even more professional than the standard presentations. Get your collegues’ and bosses’ attention by creating something a little bit different. Draw lets you build diagrams and sketches from scratch. Or else go further and easily build dynamic 3D illustrations and special effects. It’s as simple or as powerful as you want it to be. Math is a simple equation editor. It lets you lay-out and display your mathematical, chemical, electrical or scientific equations quickly in standard written notation. Even the most-complex calculations can be understandable when displayed correctly. E=mc2. There is a large base of satisfied users worldwide. And it is available in more than 110 languages and for all major operating systems. Such as Windows, mac OS and Linux (Debian, Ubuntu, Fedora, Suse, …).